The Code for America Brigades are made up of a vast network of 25,000+ volunteers from all across the country who come together and put their skills (technical and non-technical!) toward projects that address problems in their community. Most of the time, they have time to talk through the problem, gather information from stakeholders, and ideate on possible solutions. But what happens when the problem bears down on the community with little to no warning, and brings potentially catastrophic effects? 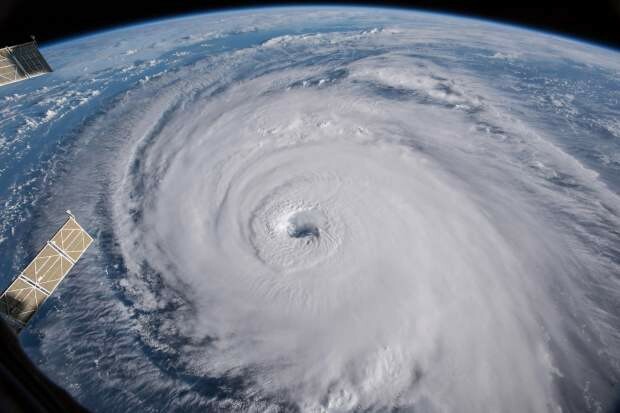 Nearly a month ago, Hurricane Florence made landfall in North Carolina. This was the third major hurricane to hit the continental United States in 13 months, and the third that the Code for America Brigade network stepped up to respond to. In the days leading up to landfall, the Network Team reached out to the leaders of the several North Carolina Brigades about their plans to respond. Code for America Brigades have a big presence in North Carolina, with 14 Brigades across the state — and Charlotte will be the host city for this year’s Brigade Congress. We often write about the great work that Brigades are doing in their respective communities, but one of the greatest strengths of the network is the way that Brigades across the country are able to learn from — and lean on — each other. They have a platform to communicate about similar problems and use each other as a resource for finding solutions. So instead of starting from scratch, we supported the North Carolina Brigades as they adapted, improved upon and redeployed the technology that Brigades in Texas and Florida created to respond to Hurricanes Harvey and Irma in 2017. It has been really interesting to watch the hurricane response site grow from Harvey, to Irma, and now to Florence. With each new iteration, the codebase is growing and adding more features, such as mapping out points of distribution for supplies and food. 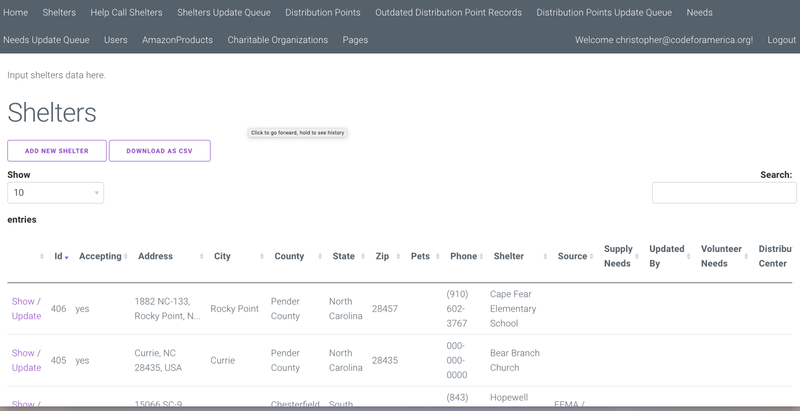 The API also now allows users to download the data as a CSV, which is useful for sharing with partner organizations. Since the response to Harvey, there are new organizations that have also formed to respond to disasters including CEDR Digital Corps and Crowdsource Rescue. Additionally, this was the first time we had the opportunity to participate in FEMA’s crowdsource coordination call with other organizations doing crowdsourced data management. Being in that conversation was invaluable, as we got to hear about what other organizations were doing and figure out how we could supplement their efforts, and where there were gaps to fill. Through that call, we discovered that another org, CEDR, was gathering the same info that we were. We were then able to work in tandem with them to collect shelter info and map it out. (And it was a lot of info, due to the sheer size of the storm — we had almost 250 shelters being mapped out at any one time, from South Carolina all the way to Virginia). But what was really inspiring to watch had nothing to do with the technical aspects of the site. It was amazing to see the Code for America Brigade network, once again, come together to respond to a natural disaster. While we had 14 Brigades across North Carolina, many of their members live in evacuation zones and had to focus on getting themselves and their families to safety, not mapping shelters. But tons of volunteers stepped up to help out, many from outside the affected region — including some of the same civic technologists from Texas and Florida who worked on the Harvey and Irma response sites, but also volunteers from Louisiana and even as far north as Delaware. Many came in from other organizations like CEDR, Crowdsource Rescue, and the Cajun Navy, but we also got a lot of volunteers just through word-of-mouth who wanted to chip in, particularly around calling shelters. And thanks to Code for America’s infrastructure, we were able to quickly bring them into our #hurricane_florence Slack channel so everyone involved could communicate. The work is, of course, far from over. Many Carolinians are still staring down a long road to recovery. And just as the team was wrapping up their work on mapping points of distribution for the recovery effort, news broke that another hurricane was heading towards Florida. 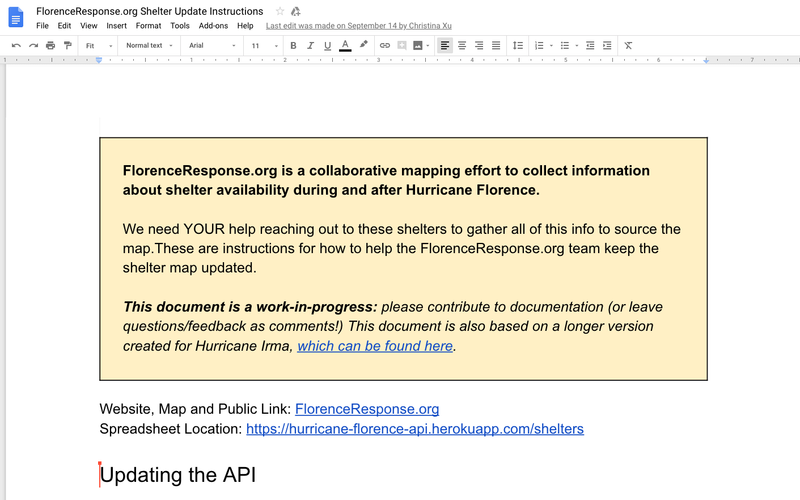 Luckily, we were able to launch michaelresponse.org even faster than the Florence site. As of the time of this writing, Hurricane Michael has just made landfall in the Florida Panhandle — we’ve successfully imported Red Cross data to the response site, and will have more to say about those efforts soon. But what we really want to emphasize is the way the Brigade response has evolved through the four hurricanes. By building on what we’ve used before, we’ve been able to spring into action faster and faster each time. FEMA’s own shelter list only updated once a day during the height of the hurricane, while ours was updated continuously thanks to our volunteers calling to check for updates in addition to our partnership with CEDR. We’re also more aware of the pain points, which include conversations around data: now that we have seen how effective it is to work as a group of response organizations, how do we prepare for data sharing needs and maintaining standards? We’re hoping to have more of these conversations during our Brigade Congress event in October. Brigades often work on the biggest problems in their community, and there are few problems bigger than a hurricane. As our climate continues to change, we expect the Brigades will be responding to more natural disasters and leveraging our network’s collective skills to help wherever we can. In the words of Code for America founder Jen Pahlka: “Are we just going to be a crowd of voices, or are we also going to be a crowd of hands?” So we have some big questions to think about: How can we make our response even better each time? How can we collaborate and share information to shore up preparation efforts? What do we need to do to be able to respond to any disaster — not just hurricanes, but tornadoes, wildfires, earthquakes, and more? We’re holding a session on disaster response at Brigade Congress, and can’t wait to continue the conversation there.